When it comes to President Trump firing off "Game of Thrones" memes to announce U.S. foreign policy in Iran, a "Shahs of Sunset" star says ... hate the messenger, but LOVE the message. 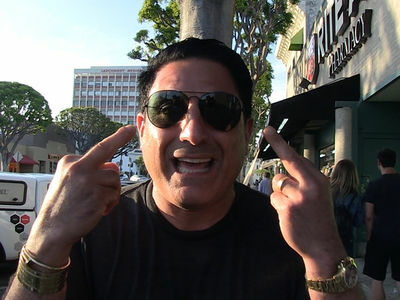 We ran into Reza Farahan Friday on Rodeo Drive in Bev Hills and, seeing as how he was born in Tehran, we had to get his take on Trump's "Sanctions Are Coming" tweet. Perhaps surprisingly, Reza fully supports POTUS and his hard line with Iran ... but there's a catch. Watch the clip, you can tell it pains Reza to no end to say he's lockstep with Trump -- but says he's trying to focus on the big picture for his friends and family in Iran. But, don't get it twisted ... he HATES the 'GoT' ripoff the White House used to announce the sanctions. Mostly because it's incredibly insensitive to the very people he claims to be helping with the sanctions! Reza's got some choice words for Trump and his social media team.